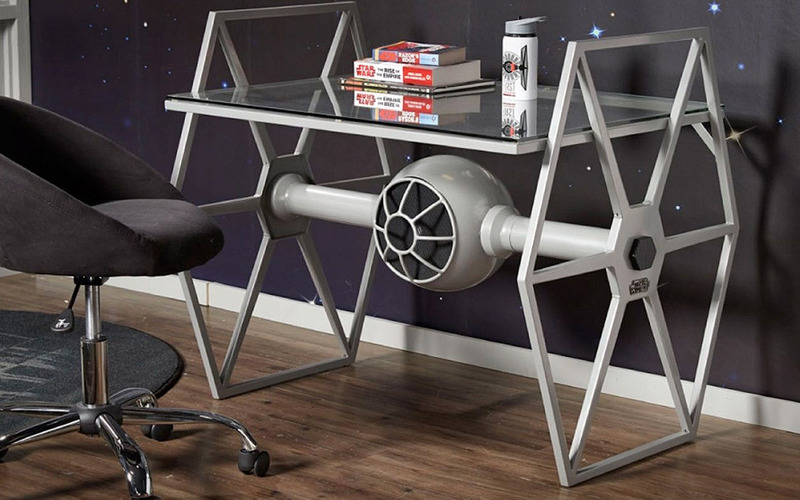 Get in the creative spirit with the Star Wars TIE fighter desk. Known throughout the galaxy as the sentry ships of choice for the Death Star, the solidly constructed base has a gray finish and powder coated steel construction that features “carbonite” textured details. The clear tempered glass top is sunken, creating two sides that will keep projects on the desk and off the floor. Inspired by the famous Star Wars TIE Fighter, an ordinary desk can be made more sci-fi like. It is a one of a kind with its beautifully textured details. Compared to a normal desk, it looks more artistic and is a perfect match for those die-hard Star Wars fans, especially if you belong to the “Imperial” side. If you are then you are surely going to love working on one of these. Considering how awesome a TIE Fighter toy model can be, this desk takes awesomeness to a whole new level. This desk is part of of Rooms to Go’s Star Wars line of furniture. You won’t look silly using this desk designed for kids. But seriously, wouldn’t you rather type that document, finish your paperwork or put together that Millennium Falcon LEGO set on this thing than whatever boring desk you have in the home office? 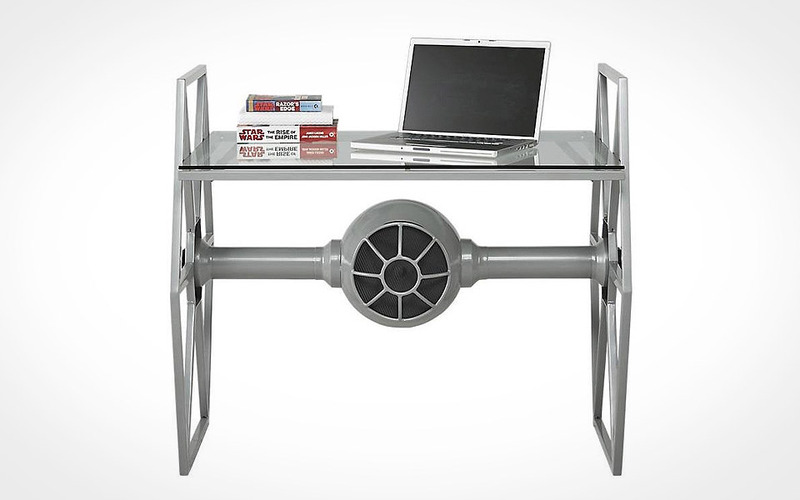 The Star Wars TIE Fighter Desk measures 40 x 28.5 x 35 inches (width x depth x height). It might not be as spacious as your workstation in the office, there’s definitely enough room in there to get some real work done. The frame construction is gray powder coated steel for the TIE Fighter desk. The textured details reminiscent of carbonite exposure. The clear tempered glass top that comes with it is sunk in, so the wings can fence all your gear in. 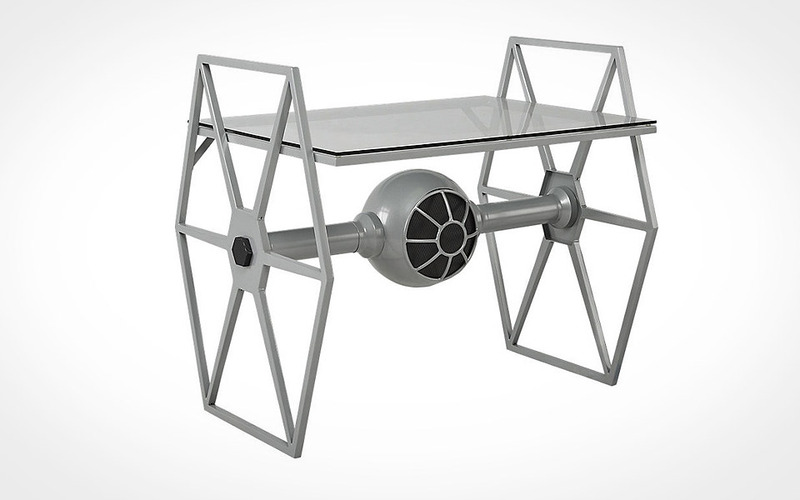 The Star Wars Tie Fighter Desk is priced at $399.99.